Since the cultural turn in the 1990s, increasing attention has been paid to ideological concerns and gender issues in relation to translation studies. 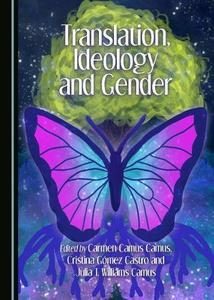 This volume is a further illustration of this trend and focuses on the intersection of translation theory and practice with ideological constraints and gender issues in a variety of cross-cultural, geographical and historical contexts. The book is divided into three parts, with the first devoted to the health sciences, examining gender bias in medical textbooks, and the language and sociocultural barriers involved in obtaining health services in Morocco. The second part addresses the interaction of the three themes on the representation of gender and the construction of the female image both in diverse narrative texts and the presence of women in the translation of poetic works in Francos Spain. Finally, Part Three explores editorial policies and translator ethics in relation to feminist writing or translation in the context of Europe with special reference to Italy, and in the world of magazines aimed at a female readership.